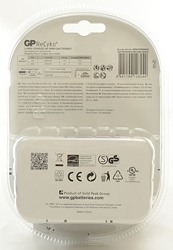 This is one of the better chargers from GP, it started out called PowerBank (But it is not a power bank) and then the package changed name to ReCyko+ (Look like GP has decided that their product need to be sold as green). 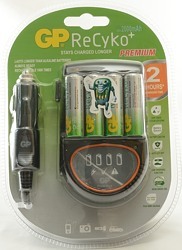 The charger is very compact and can charge up to 4 AA/AAA batteries. I got the charger in a blister pack. 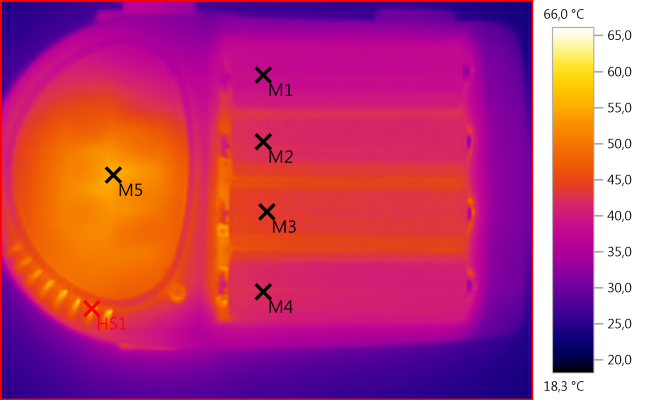 In addition to the charger there were some AA cells. 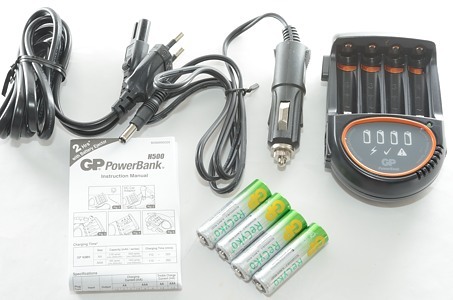 The makes the total contents: The charger, mains cable, car adapter, 4 AA cells and a instruction sheet in many languages. 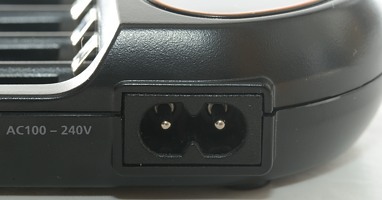 The charger has connectors for both mains power (100-240AC 50/60Hz) and 12 volt power. The charger has a couple of leds to show the status. 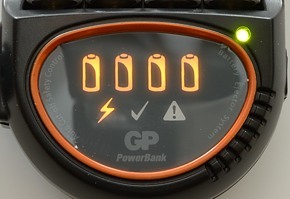 The battery symbols will flash while charging and be steady when full. The lightning bolt will flash when charging, the checkmark will be lit when all batteries are finished and the ! will lit on errors. 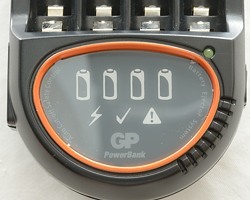 The single green led outside the display is used to show that the charger has power. It is not possible to read the display in sunshine. 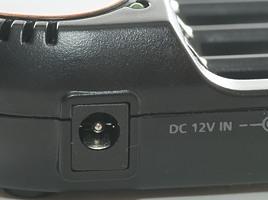 In addition it has a feature I would have liked on all compact chargers: A battery ejector. Press the button on the side of the charger and all batteries pops up (Very nice). 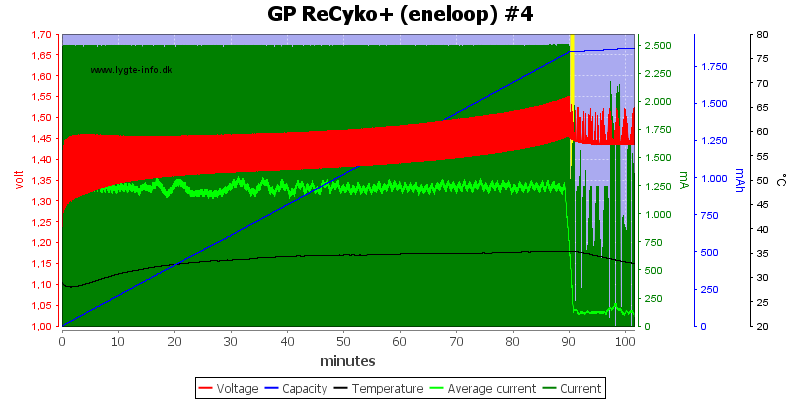 Charger will discharge cells with 0.01mA when power is off. Charger will start charging when cell voltage is above 0.5 volt. Charger will show charging indication from 0 volt. 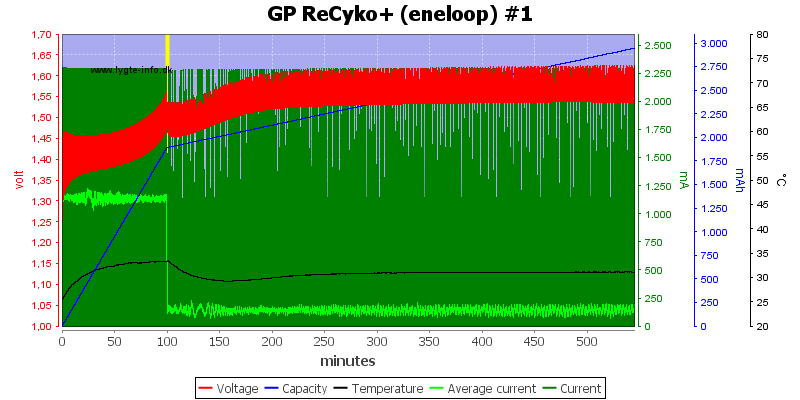 The charging looks like it is voltage terminated and then followed by a fairly high trickle charge of 100mA. 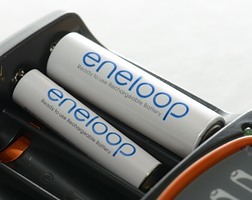 The charger is fairly fast with well under two hours to charge a eneloop cell. 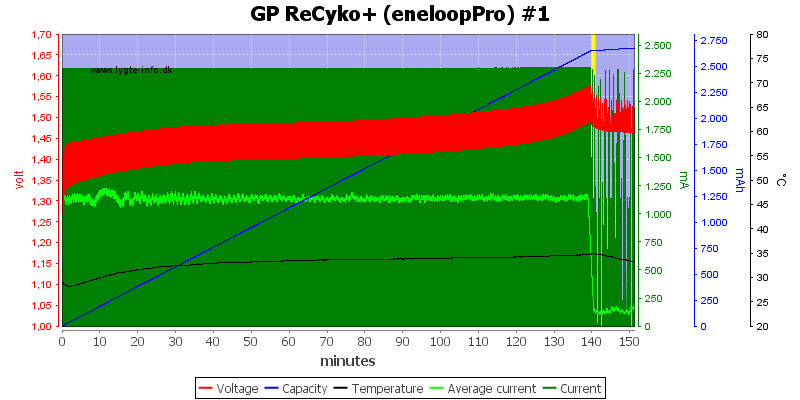 On the second channel I also logged the trickle charging. 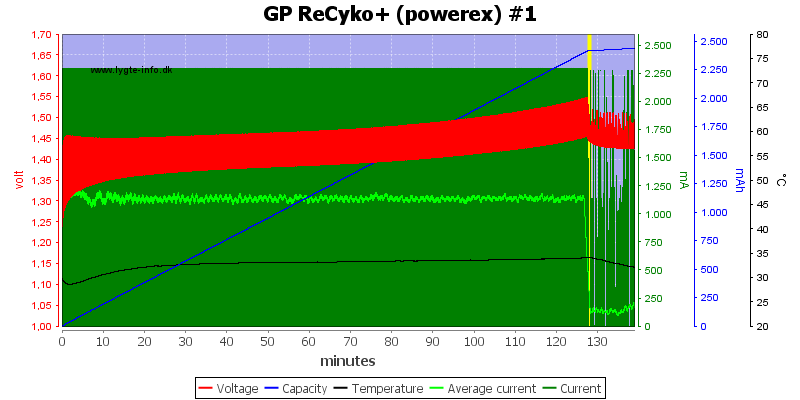 The two last channels I terminated the logging soon after the main charging. 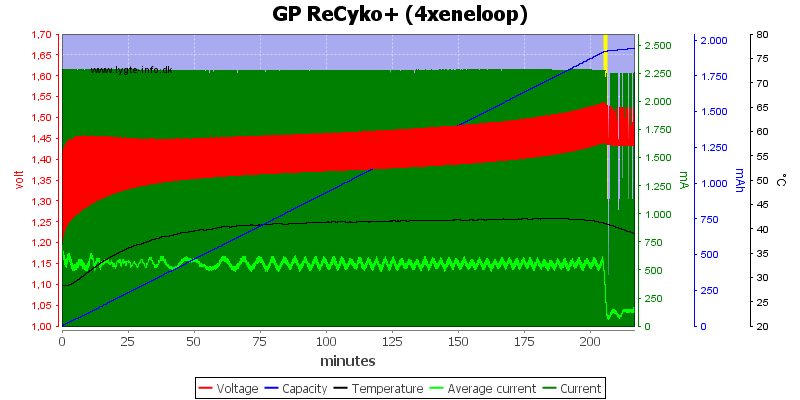 With all the 3 high capacity cells it looks like the temperature is starting to raise, just before it terminates. 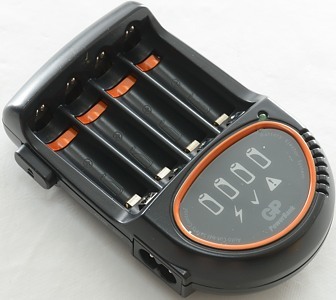 With the high trickle charging the batteries will be filled anyway, if they stay in the charger a bit extra. With AAA the charge and trickle current is reduced, this is good. 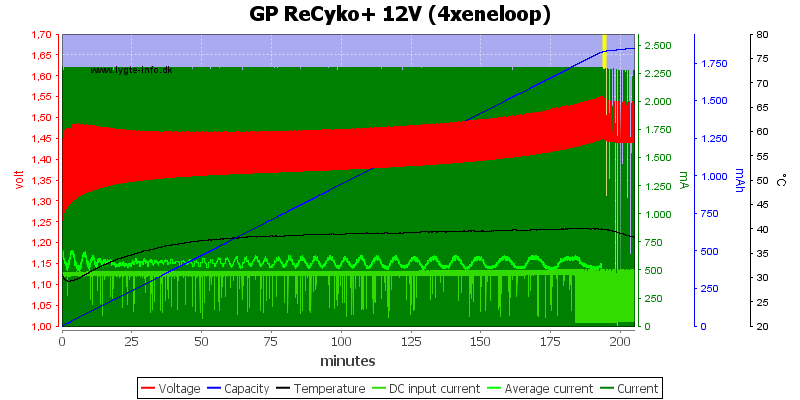 Using voltage termination it is very fast at detecting full batteries. 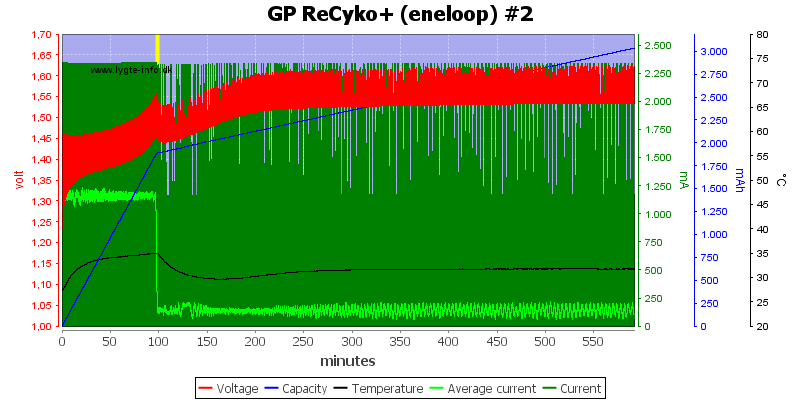 With more batteries in the charger it is much slower. It uses about 0.5A from 12 volt (It is rated for 0.75A). Being a compact and fairly fast charger it will get warm, this is normal for this type of charger. 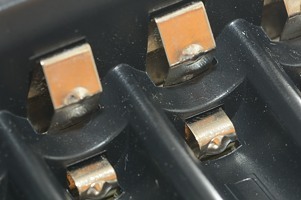 Expecially some of the electronic inside the charger. The startup time is 4 seconds. 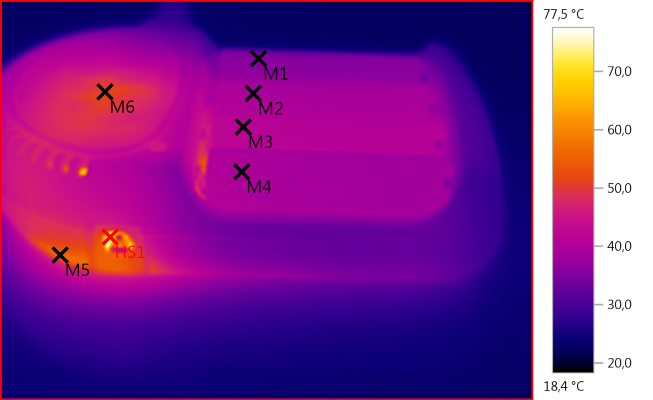 With one cell in the charger it uses a 50% duty cycle with 2.2A current. 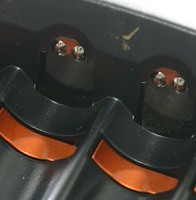 This means the charger has one charging circuit that is shared between all the batteries. 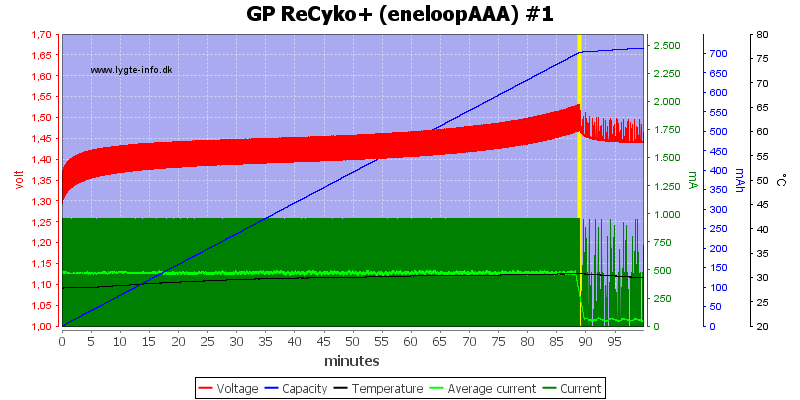 With AAA cells the current is reduced, not the duty cycle (Good). 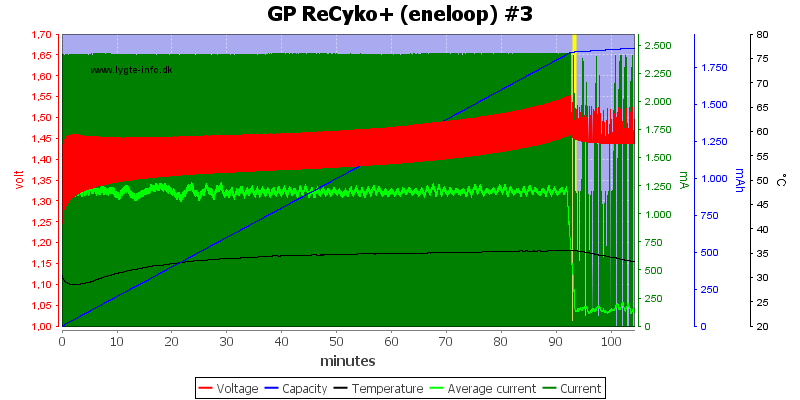 Trickle charging is done with a very low duty cycle, but full charge current. The charger is a nice compact size with an easy understandable display and I like the cell ejector. 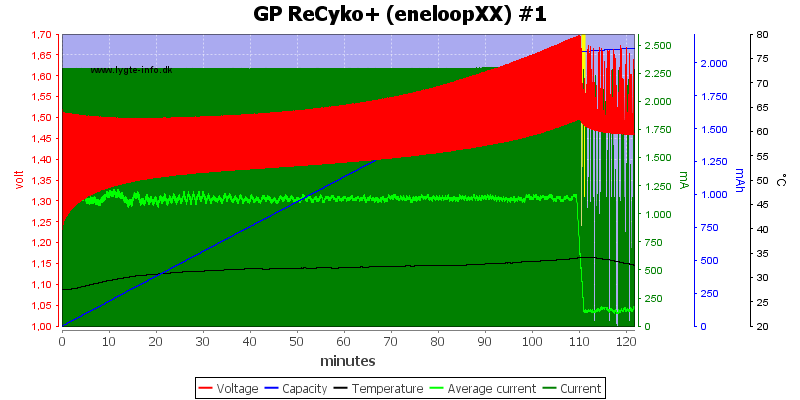 But I do not like the high trickle charge and will not be charging my LSD (Low Self Discharge) cells (eneloop) on it. 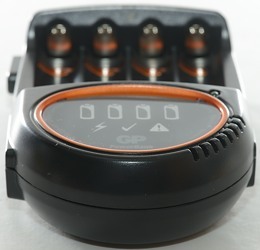 The charger is best used for NiCD or non-LSD cells.